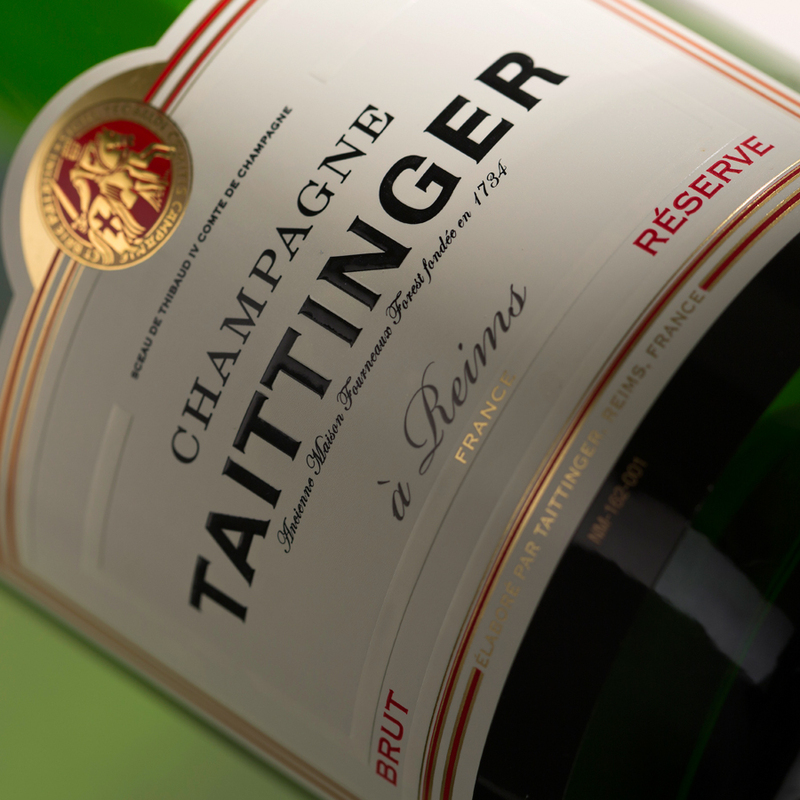 Produced each year from 95% first pressing of the grapes, this is the definitive cuv�e of Champagne Taittinger. Each year the blend includes a proportion of reserve wine to ensure consistency in the House style. Prior to release, Taittinger Brut R�serve NV is aged for 3-4 years giving the wine depth whilst allowing the component parts to become fully integrated. Tasting Note: Renowned for its golden colour with a consistent and fine lingering mousse. The nose is light and delicate with hints of peach and brioche. On the palate it has considerable depth, yet is quite light in style with a subtle elegance and a long fresh finish. A great non-vintage brut. Our staff have been trained on our policy of 'Challenge 25' to ensure age verification is robustly enforced in the shop and when making deliveries.